Today I’m really excited to talk about Pinterest since they’ve just launched in the UK and asked me to be part of their Pin it Forward campaign. For those who are new to Pinterest, it is a tool for collecting and organising the things you love. With Pinterest you can “pin” things from around the web onto boards you create, on any topic you’d like. I like to pin about fashion, home and interiors. It's an awesome tool for creating mood boards! You can follow my boards here, or if you are new to Pinterest, you can sign up here. I will be handing the virtual Pin it Forward UK baton over to the beautiful Caroline of Burkatron. 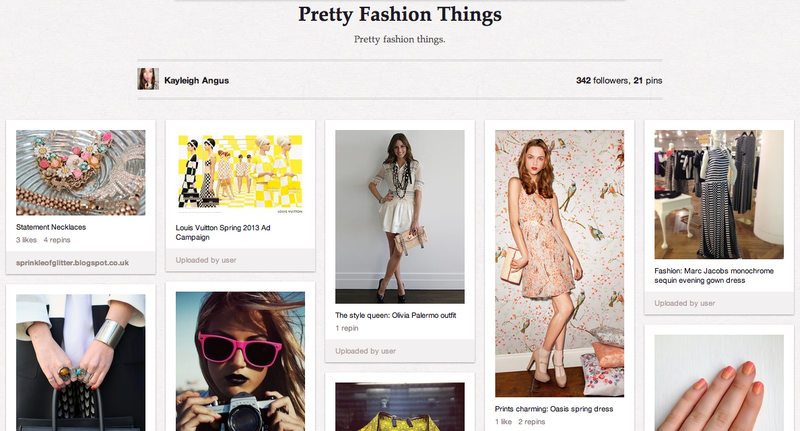 Her Pinterest boards are fantastic, make sure you check them out here! I look forward to seeing what you pin. Pin. Pin. Pin!